I am happy to announce that from now on, filters and segments can be applied to dashboard insights! 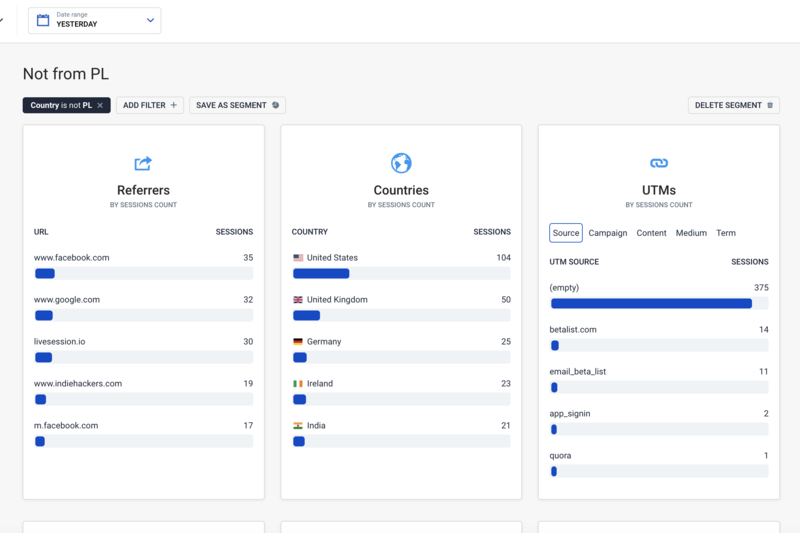 You can easily check what are the top Referrers, Countries, UTMs, Screen resolutions, Browsers, and Devices in chosen segment. We are also working on more useful insights on dashboard. Stay tuned!